This is our brand new indoor bicycle trainer. It is constructed with heavy duty steel frame,super sturdy for your exercise and durable to use.Magnet system to provide progressive resistance and low noise in your working process.Four rubber feet to keep it stable in floor.Foldable design for easy assemble and store. It is suitable for 700c or 26 inch wheels with different tire sizes. 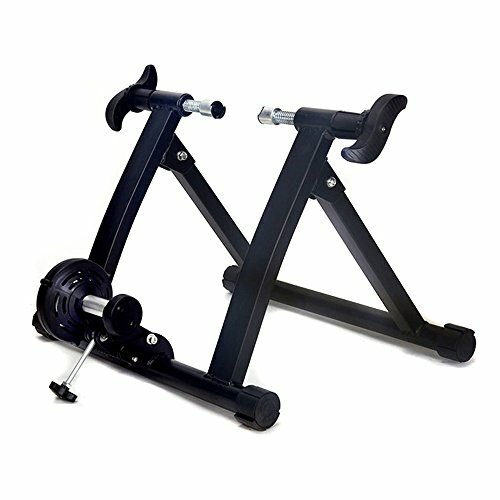 With this trainer, you can ride your bicyle and do exercise anytime you want. Do not hesitate to buy one! Steel frame; heavy-duty; super sturdy for your exercise and durable to use. Foldable design for easy assemble and store.Four rubber feet to keep it stable in floor. Magnet system to provide progressive resistance and low noise in your working process. If you have any questions about this product by Lucky Tree, contact us by completing and submitting the form below. If you are looking for a specif part number, please include it with your message.